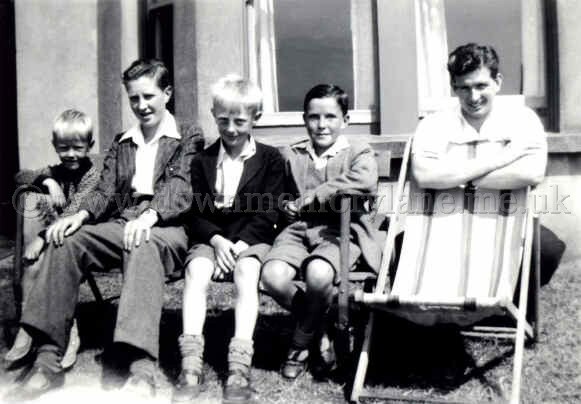 Sitting outside their guesthouse in Portstewart we have Brian McCabe, Wilbert Lennox, Derek McCabe, Jim Lennox and Unknown. The year is unknown. Enjoying the sunshine at Portstewart we have Jim Lennox, Derek McCabe, Herbie McCabe proudly displaying his BB badge, Unknown and Wilbert Lennox. 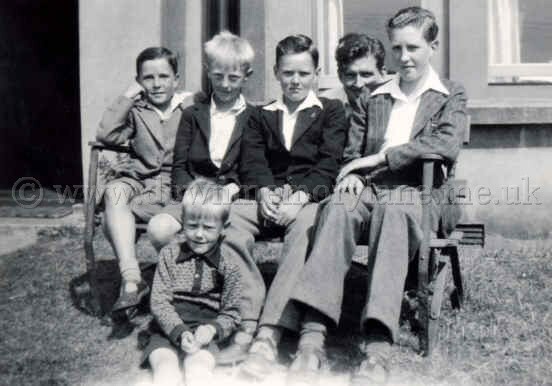 Seated on the ground is Brian McCabe, the year is unknown. 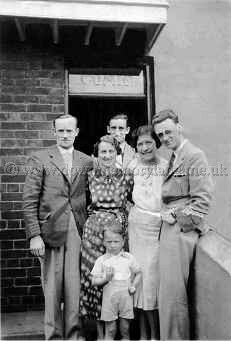 Up at Portstewart for the holidays we have on the left David Baird with his wife and their young son Tom. The other people are unknown and also the year.